Please also read our Full Submission Terms Below. Q. Where does the event happen? A. Murphy's Barn - Five minutes drive from the beautiful town of Wexford. Southeast Ireland. Q. I'd like to submit a video. Will I be notified if it's not selected? A. Whereby a submission is not selected, the submitter will be notified by the platform they submitted to, on behalf of Audio Shoot. Q. My video contains a cover song. Is that ok? A. No. 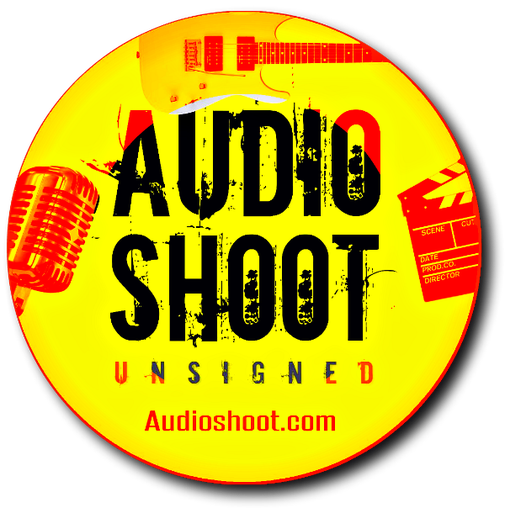 Audio Shoot Unsigned was created to support original music, video & film. We cannot accept cover songs. Q. If my video is selected will I have to pay the entry fee to the weekend event? A. No. The submitter of the selected video will receive two free tickets for the day of their screening. No extra free tickets will be issued in the event of more than one video per submitter being selected. Q. If travelling from Dublin Airport, how long does it take to get to Wexford? A. Driving will take you 1 hour 40 mins. approx. Public transport [bus/train] 2 hours 40 mins approx. Q. If my video is rejected will it still be broadcast on Audioshoot.com? - Such as 'Teaser Clips' [a section of your video] will be broadcast. Submissions may be rejected for the live festival for a myriad of reasons. Q. Do I retain ownership of my work? A. Yes, 100%. You simply grant Audioshoot.com, it's management and social channels the non-exclusive right to broadcast your submitted work/s for our festivals and for the promotion of same. ★ See next question. You retain full copyright and ownership of your submitted material. Note: We don't change your Youtube/Vimeo channel settings 'though our music/video and social channel settings may be different. The low resolution teaser clip of your video may also be downloaded from our video and social channels - Either way, you still own the rights. The team at Audio Shoot are musicians and filmmakers too - We respect and protect your work. Q. Can I have my submission removed at any time? A. Yes, It may take a day or two but, on request, we will remove your video from our website and all managed platforms inc. social, asap. Note that time machine recordings and webpage history apps such as Wayback Machine may provide access to deleted/edited/adapted pages. Audio Shoot reserves the rights to it's own history and may refer to past exhibits, publications, streamed videos etc. for promotional purposes. Q. Is there a limit to the number of videos I can submit. A. No. However, each video must be submitted separately with requested details. You must also hold the rights to the submitted material or be an authorised agent for same. Q. Do you accept all music genres? A. Yes, absolutely. The Audio Shoot Unsigned programme embraces all genres from indie to rap, punk to pop, folk to jazz, traditional to rhythm & blues, rock to opera, sound art and experimental to whatever you're having yourself. Q. My video is a bit racy. Are you cool with that? A. We're a very broadminded bunch and love all things edgy, but anything we deem to be offensive, sexist, racist, or overtly sexual will be rejected. Q. Can I enter and exit the event as I please? A. Yes, a day ticket lets you wander in and out on that day. A weekend ticket lets you wander in and out for the whole weekend. Q. Our equipment isn't high end. How important is the quality of the submitted production. A. Your submission must be audible and watchable. You can use anything from a basic mobile phone to high end film cameras and crew. However you must not currently be signed up to a recording/film contract. The bottom line is engagement and entertainment. If your submission is playable and excites the judges, your work may be selected. Q. Do I have to remove credits or references to who the artist/band is from my video submission. A. No. Simply submit the video as is, but in the highest resolution available to you. Q. Is this event for a particular age group? A. No. No one at Audio Shoot is ageist. We welcome festival visitors and video submissions from ages 8 to 108. Q. Does the duration of my submitted video/film have to strictly be within the set time limit. A. The judges may allow wiggle room but only by a few minutes. If your unsure, Get In Touch before you submit. Q. Can I dress up as an old aged pensioner and get in for free? ★ Our terms are subject to change over the course of the submission process and up to and beyond the festival and may be amended and updated from time to time. If your question is still unanswered, Get In Touch - We'll get back to you promptly. While we do everything we can to present your work in the best possible light and without hitches or glitches, by submitting material to us or by performing live at the event you agree to and accept the following terms and conditions. You retain full ownership and copyrights to your submission/s and by submitting you simply grant Audio Shoot the non-exclusive right to broadcast same or elements thereof at our festivals, onsite at Audioshoot.com and on our web app. and on staff websites & social channels on all devices. Elements/Sections of your video/film submission may be used separately or as part of a showreel for event promotional use [short clips,teasers etc.] with & without credits displayed. Note: Credits may not be displayed in some teaser clips, for example, a showreel of short clips promoting the festival. This is done for practical and aesthetic reasons. Audio may be replaced with a promotional soundtrack which may include a promotional voiceover - The objective is to attract audiences to the festival and consequently your submission. Only submit content you have full rights to use. You can submit to any category any number of times but please note that no cover songs are accepted. If your submission includes public domain images or footage please be certain of it's PD Status. There is no limit to the number of submissions allowed per applicant. However you must submit each video separately. Your submission must have been created no earlier than 4 years prior to the event.. No part or unfinished work will be accepted. There will be a number of live performance slots available and invited performance artists may receive part expenses. Artists will be selected for invitation at the discretion of the judges. No correspondence re. submissions can be entered into unless initiated by Audio Shoot. If the format of the video you submit directly to us or via a third party is incompatible with our web servers it may be excluded from broadcast on our website and / or live event programme broadcasts at any time. Your video or film may or may not be broadcast on Audio Shoot or it's social channels (including company director's channels) at the discretion of Audio Shoot management. Audio Shoot may extend the duration time of the actual video submissions allowed, in any or all categories and may also extend the submission date deadlines. Audio Shoot cannot be held responsible if your submission does not play correctly, or at all, on our website, social channels or at the live event on any device. Nor can we accept any responsibility in the unlikely event of the wrong video being played or wrong information being attached or associated with your video / film - Either on screen or in print. Any equipment or property belonging to you is not the responsibility of Audio Shoot. it's team, or the hosting venue & staff. No renumeration is due to either performers or participants / submitters for their performance or works, unless clearly stated in writing on our website or via a written contract signed by both parties. Performing artists are responsible for the safety of their equipment and agree to respect any in-house venue equipment they may use. All judges on the Audio Shoot panel are professionals working in the areas of Film/Video production, Music Management & Promotion or Live Performance. In order to avoid canvassing and disputes, the panel for all awards at the festival shall remain anonymous. Submissions via third party channels may be subject to terms beyond the control of Audio Shoot. While we are careful to only work with reputable third parties of good standing, please familiarise yourself with their terms before submitting. Audio Shoot cannot be held responsible for any grievance submitters may have with any third party. While every effort is made to create a timely programme of events, Audio Shoot cannot be held responsible whereby any scheduled artist, speaker or performance is delayed, brought forward or cancelled. All acts are scheduled in good faith, however, changing conditions, circumstances and events may disrupt elements of the programme and/or subsequently the entire event. . Tickets cannot be reimbursed in unforeseen circumstances beyond the control of the Audio Shoot Team or in the event of bus, taxi, traffic delays etc. be they third party services or directly provided by Audio Shoot. Notwithstanding such events, Audio Shoot will endeavour to resolve any issue/s that may arise, amicably. Audioshoot.com may go offline for any length of time for maintenance or any other reason. Service is not guaranteed. Audio Shoot cannot guarantee any performance. Should any artist/ band fail to perform, it is beyond the control of Audio Shoot and we cannot be held responsible. An award winner is not guaranteed in each category. Any scheduled live performance may be rescheduled or cancelled. Audio Shoot will attempt to ensure that all acts perform but this may be beyond our control. Your purchased ticket entitles you [the bearer] to see a selection of live acts perform only - Not every scheduled performance is guaranteed to take place. Audio Shoot's terms and conditions are subject to change. Please review from time to time to ensure your consent. Should you have any questions regarding the terms above, please Get In Touch referencing the specific Term Number/s.